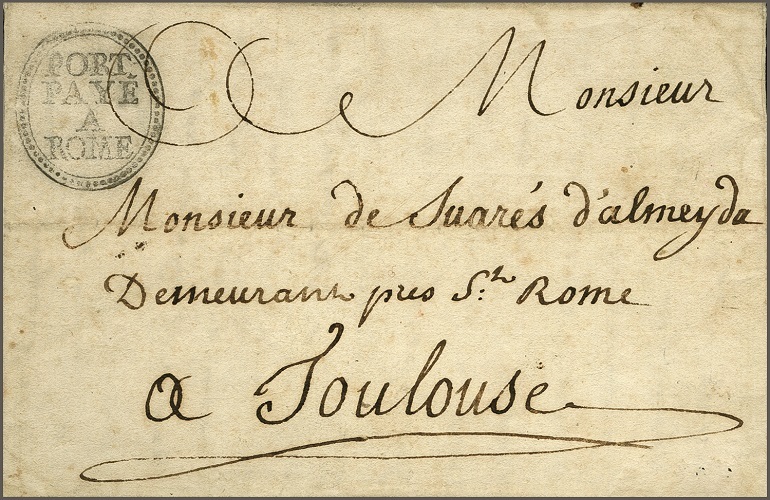 An extensive research and study collection of European transit mail from the early 15th to the beginning of the 19th century. A total of over 900 covers document the various postal routes with many cancellations and surcharges from the early days of European postal exchanges across Europe. The collection covers the entire European continent, mostly in cross-border traffic such as Italy - France or Germany - France with the corresponding border post offices and exchange offices. Another major section concerns postal exchanges with Belgium and Holland as well as Switzerland, Scandinavia, England, Portugal, Spain, Poland, Russia and the Baltic States. The collection begins with a letter from Venice dated 15 November 1421. The collection also contains a letter from the 99th Doge Francesco Molino (1646-55) and interesting letters from the famous Corsini correspondence. 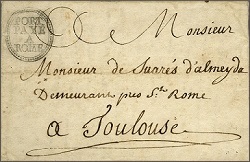 Also worthy of mention are covers with early transit marks of the 17th century such as D’HOLLANDE and D’ALLEMAGNE, or DE LOMBARDIE and DE SUISSE from the early 18th century. With the advent of the international exchange of mail, the plethora of cancellations and handwritten notes also grew and these are documented in this extraordinary collection. 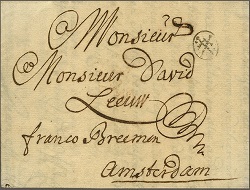 Special mention should be made of some very rare postmarks such as the so-called ‘Swords’ mark on cover from Leipzig to Amsterdam in 1718 from the collection of Kumpf - Mikuli, the rare ‘B’ crown postmark of Sweden and the extremely attractive impression of the ‘PORT PAYE A ROME’ on a letter from the French Post Office in Rome to Toulouse (1770). Most of the covers are selected items that have been purchased at auctions or from some of the most internationally renowned collectors. 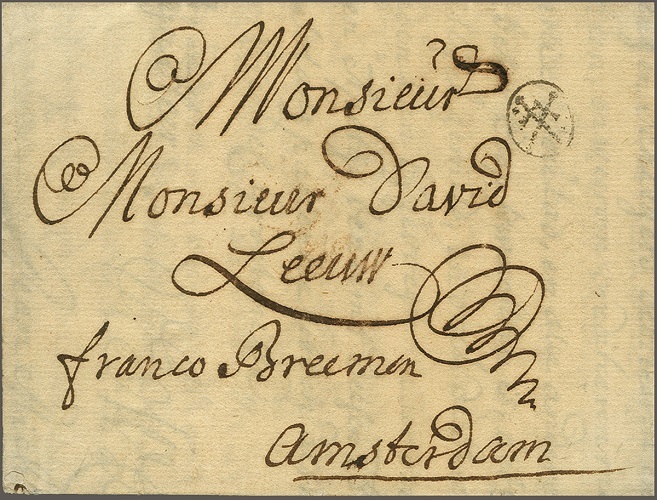 The provenances read like a ‘Who's Who’ of the great and well-known old postal history collectors: Manfred Jacques, James van der Linden, Hans-Ulrich Sieber and Paolo Vollmeier. This unique collection with lots of background information, photocopies and the working documents of a proven connoisseur of his subject is for sale here! All the material being offered can be viewed by appointment in our office.